The 22nd Flying Proms blends exquisite flying in display sequences with classical music played by a live orchestra in the atmosphere of a British Proms. You can make the most of the occasion with a stroll around the Swiss Garden with its 13 listed structures, adjacent woodland sculpture trail and three resident peacocks. The vintage bus, free to ride, will run between the aerodrome and the house, which will be open for viewing and for refreshments. Also expect the event to close with a firework display and illuminated models. This is a relatively small venue, where flying feels closer to the crowd than in some bigger airfields, even since the change in the regulations. The venue also has a mansion, Shuttleworth House, which is usually open to visitors for at least part of airshow days, park-like gardens (Swiss garden) and huge children's outdoor play area. Old Warden is home to the Shuttleworth Collection of planes from both world wars and earlier, including original pioneering aircraft such as the Bleriot (identical to the one that made the first crossing of the English Channel). There are around 40 airworthy planes in eight hangars. The collection is on static display most days throughout the year. 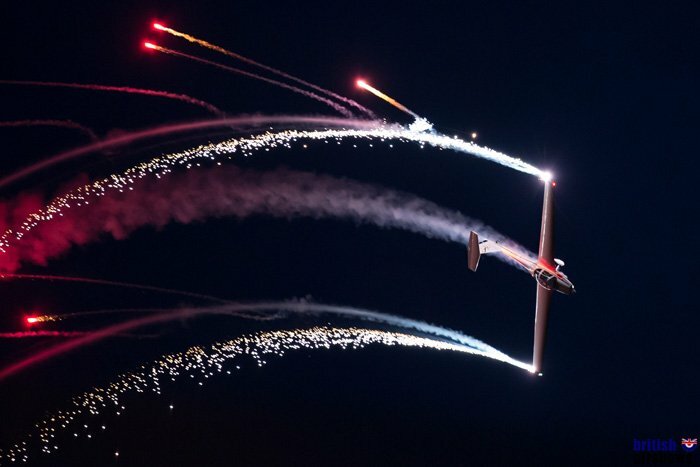 There are significant flying events about monthly between May and October, ranging from daytime full airshows to evening proms and additional smaller events. Shuttleworth's Old Warden Aerodrome is about two miles to the west of the A1 near Biggleswade. It is about 20 miles from junction 13 of the M1 and from the south it is about 30 miles from Junction 23 of the M25. It is signposted from the A1 at Biggleswade. The Post Code (for sat nav) is SG18 9EP but, as with all shows, ignore the sat nav in favour of local show signs as soon as you see them. National Express do not go to Old Warden or to Biggleswade. The nearest stops are in Bedford (4 miles), Letchworth (8 miles) and Royston (6 miles) with services to Luton and Heathrow airports as well as Cambridge and London. There is a train station at nearby Biggleswade, which is about 40 minutes from London Kings Cross and about 30 minutes from Peterborough. There is no bus service from the station to the aerodrome but there is a taxi rank close to the station. Click the blue Expedia name for a list of hotels and guest houses near the show. The venue is already built into the link, so when the list comes up you just have to enter your dates and change the number of rooms or guests if necessary. The International Hotels Group have a Holiday Inn about 4 miles away and Holiday Inn Express hotels about 12 miles away near Bedford and Stevenage; there are two Premier Inn hotels in Bedford about 8 miles away, another two in St Neots and one in Hitchen, all about 10 miles away.